Discovering the peaceful villages and majestic scenery of Sapa, glorious Halong bay of Vietnam and be captivated by the warmth of the friendly people you meet on the way. 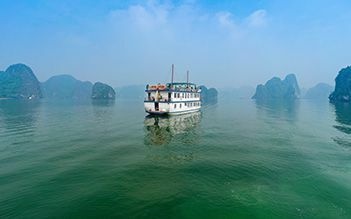 Enjoying your 4-day leisure in Sapa and Halong Bay, we make sure that you will have an unforgettable and wonderful holiday. 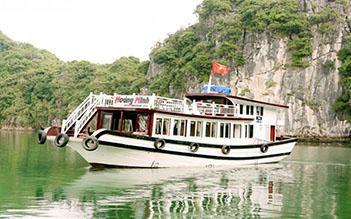 Tender will take you back to the mainland, bus trip back to Hanoi and drop off at your hotel around 16.30 - 17.00. Free time in Hanoi. 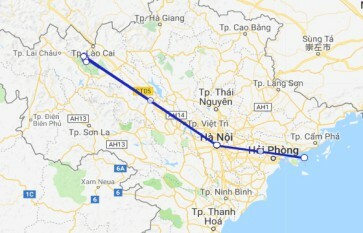 Back to your hotel to be picked up (around 20.30) and transfer to Hanoi Railway Station to take the night train to Lao Cai. Sleep on the train (wooden deluxe train with A/C). A walk down to the South-west of Sapa (around 4 km) to visit Cat Cat village of the Black H’mong. Relax at the food of the stunning waterfall and the vestige of a hydroelectric power station that was constructed by the French during the colonial time in Vietnam. Enjoy picnic lunch by the side of the river, and then next 3 km to Sin Chai, the village located at the foot of Fansipan Mountain, “the roof of Vietnam and Indochina”. From here you can enjoy huge stunning landscapes before climbing up on the way a jeep to return to Sapa. Then taking bus to train station, having local dinner before boarding the train back to Hanoi. Overnight on train. End of tour. Very nice stay, we loved the area and its people. Our guide was great and very attentive to our well being. The night trip by train back and forth was painful but it is the price to pay to see this beautiful corner. 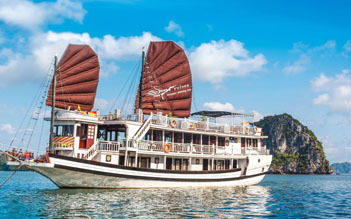 We did both Halong Bay and Sapa tour 3 nights (2 on the train 4 persons in 1 cabin 2 ways and 1 in hotel sapa) with charming travel. They offer a free pick up from airport with a private car to our hotel in Old Quater of Hanoi. Great! We have a special guide (Tommy - Sorry to forget vietnamese name) who escorted us from the beginning till end of the progarm. 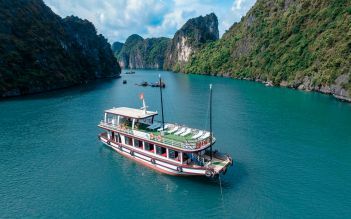 Arrange the good timing for the pick up Halong tour 2 days and sending us to the train station to exchange the train tickets. Tommy brought us to the cabin of the train. Tommy has an understandable English, and he has a very good knowledge. And the places were stunning. We highly recommend everyone to see both places. Trekking is a must do thing for Sapa. You can see nice rice terraces and a small waterfall near the village. Reasonable tour price. Professional organizer. 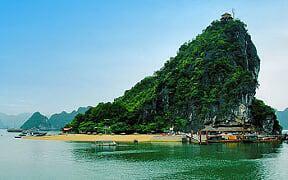 The best place to enjoy the natural beauty of Vietnam. HIGHLY recommend to travelers who love photo shooting and hiking, it is definitely worth for live.